After a less-than-ideal tech experience in the CA courts, I look at how AR, AI and the cloud could vastly improve legal trials by removing complexity, increasing reliability and significantly increasing the ability of attorneys (to present their case) and judges (to better understand the attorneys’ positions). It appeared to be the typical mishmash of vendors and technologies often seen in environments that break up technology deployments and focus on the lowest bid. We had problems with PCs not working because of background apps that likely shouldn’t have been running. We had compatibility issues, connectivity issues and the way-too-common issues of just getting machines to talk to the digital projectors so we could see the slides (I was reminded again how much I hate dongles). All the delays ran up attorney’s fees, court costs and seemed to aggravate the Judge (who actually was far calmer about this than I would have been). The tech hurdles also detracted from the quality of the trial. Like it says in the opening for the old TV show “The Six Million Dollar Man,” we have the technology to fix this. I thought it would be interesting to look to the future and see how it could work. The problems I observed largely had to do with too much focus on keeping costs down and not enough focus on making sure the solution worked. This doesn’t just happen in the public sector – I’ve been in many conference rooms in large companies where getting the projector to work or the video conferencing system up and running is way too complex and time consuming. The people in the room aren’t technicians, but a lot of them think they know enough about the problem…and invariably make the problem worse. The poor techs, when they finally show up, have to not only deal with the mess that was there, but the mess the folks in the room created in their failed attempt to get the equipment to work. Whatever they pay the techs in that courthouse likely isn’t enough. The court reporter had a digital stenotype machine that, according to her, broke down a lot. (She also had to purchase it herself.) This machine connected to a laptop that created the official record and the laptop had a passthrough so that the judge could see what the court reporter was writing. This 7-8-year-old laptop hung up often, forcing us to stop the trial until the problem could be resolved. It also resulted in record-keeping issues and was a huge distraction. The court had several WiFi hotspots but none that were accessible by either the attorneys or their clients. This appeared to be a perimeter defense security system, but those are generally thought to be ineffective, suggesting security in the courtroom and the courthouse was likely inadequate. The remedy certainly adversely impacted how the attorneys could do their jobs. Finally, the judge not only had to watch the trial, but two screens – one running the record (as noted above), and the other showcasing other apps the court needed to monitor. These two screens were placed on either side of the bench and it often made it seem like the judge was watching tennis as he looked from side to side. He also seemed to get lost in the complexity of the case or in the speed in which some of us were speaking, which increased his frustration and likely made it more difficult to make accurate determinations on relevance, accuracy of the testimony, guilt or innocence. We begin with the cloud, which takes the place of that intermediate laptop and provides a real-time feed to both the court reporter and the judge. This also provides performance headroom, so that if you need a real-time translator or want to run a parallel speech-to-text application you have the headroom and can simply bring up another cloud instance dedicated to those tasks. This is where the AI comes in, because no one wants to be a technician – even the techs didn’t appear to really relish the job – and the AI could autoconfigure what was needed simply by asking the court clerk what they wanted to do. This not only makes the solution far easier to use and more flexible, it also makes sure everything is stored off-site so if there’s some localized event (for instance, when I was there, some nimrod pulled the fire alarm one day) the records are safe and can be securely accessed remotely. The AI could also bring up exhibits, which could remain in digital form (so the attorneys don’t have to wheel around huge boxes of evidence) based on reference number and/or name. This would substantially speed up testimony – which slows to a crawl as the reference material is located – and provide the ability to present that evidence in-line with the court reporter is writing. This way someone reviewing testimony would have both the written testimony and the document they were referencing. Done right you could also embed the voice file for the testimony so the Judge could review expression nuances. For the bench’s two displays, we could move to AR glasses. This would allow the Judge to virtually place the display in his or her most convenient location, remove them the bench and reduce the need to constantly scan two opposing, inconveniently located screens. Similar technology could be used for jurors – though I’d likely suggest low-cost tablets to reduce breakage, shrinkage cost and the problems that would be crop up trying to fit and maintain AR glasses for mass use. One new technology from NVIDIA called GauGAN could also help in that it uses AI to turn rough drawings into photorealistic pictures [disclosure: NVIDIA is a client of the author]. This would allow witnesses and attorneys to create compelling visual aids on the fly, which would be vastly more convincing than PowerPoint or just words. (I’m in lust for this technology myself because I can’t draw to save my life). Another place AI, particularly a deep learning AI, would help would be on determining the consistency and veracity of both the evidence and the witnesses – particularly during the close. Here the attorneys typically freeform and often step outside the evidence or misstate testimony. A deep learning AI should be able – if fed the depositions, declarations and witness statements – to flag inconsistencies between them but flag real-time statements in the close that don’t reflect the evidence or testimony accepted by the court. The court process, at least with regard to technology, is way too complex, unreliable and distracting. 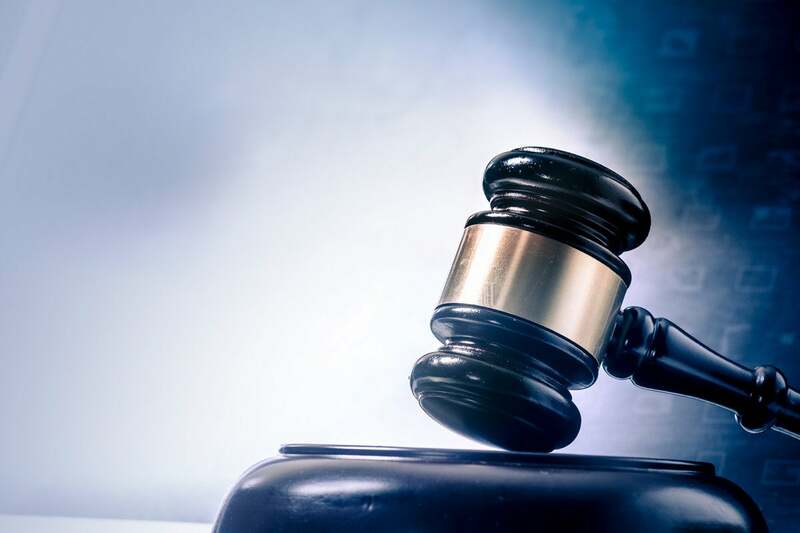 Taking a cloud-based appliance approach to the hardware, using AR to get rid of the displays and AI to make the interface simple and easy – not to mention introduce testimony analytics – could vastly improve court decision accuracy, while lowering costs to both the state and participants. We actually do have the technology to vastly improve the court system. Here’s hoping we learn to apply it properly some day.